The Charmed Ones, Paige, Piper and Phoebie started off in 1998 no one knew it would be a pop culture hit that it ended up becoming. The good news is that while it is off the air, Zenescope has been quietly printing Charmed comic books. This review looks at Charmed Number 0, the prequel, because all stories have a beginning before the beginning. Too bad that Prue bit it after the first season, but that is a story in its own right. Charmed is one of the longest and most popular fantasy television programs ever, most likely because it really approached the good triumphs over evil all the time scenarios. Add some decent drama such as questioning our ability to be evil, and with support from a cast of amazingly cool characters and some decent special effects make for awesome TV. Zenescope has carried much of what made Charmed so cool into the comic book realm. This is a series not to be missed. 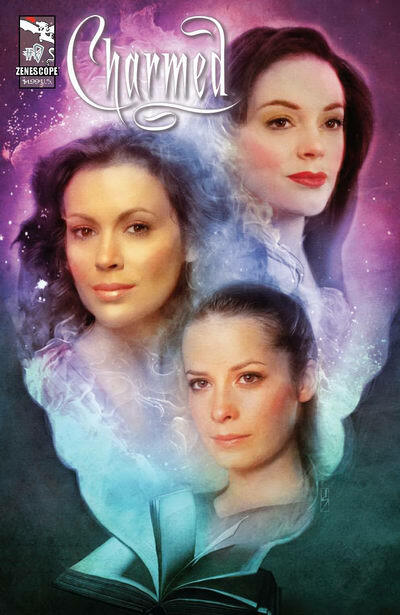 Charmed 0, Sourcebook goes into the background of the major characters, with some excellent material on whom they are, why they are, and what special gifts they have. The prequel book helps readers catch up on the Charmed Universe and what happened between the TV Series and the Comic Book Series. This issue is getting very hard to find at any price, and is a must have for people wanting to build out their entire series. Overall this was an excellently executed 0 edition of the comic book that will delight and inspire fans of the Charmed Universe everywhere. Well worth catching up with the Charmed Ones and seeing what trouble they have gotten themselves into this time. Sometimes you never know what is going to happen to them next, and the Charmed comic book series carries that entire sense of suspense all the way through all of them.